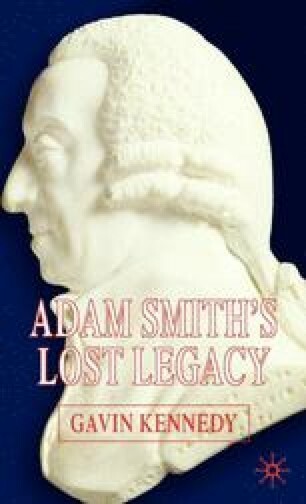 Adam Smith was born into a family of Scottish landowners and farmers, with connections to a fair sprinkling of educated functionaries of the State who had legal training and political ambitions. His father, Adam Smith senior, was a Scottish lawyer who had been one such functionary during the ill-tempered shenanigans over the Union of the English and Scottish parliaments in 1707, during which he became known to the important Argyll interest. He was a man of some distinction, originally from Aberdeen, and well enough connected to be awarded a post in the Customs service in return for his loyalty.